GREAT NEWS FRIENDS! By the end if next week (Feb. 15, 2013), the Houston area HEB stores will stick Wow Wee Dipping Sauce in their seafood departments. 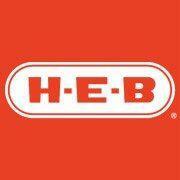 Our Products will be available to all HEB stores throughout Texas. If you don’t live in the Houston area, just go to your local HEB seafood department and ask the seafood manager to order it for you through the San Marcos warehouse. Please share this with your friends.